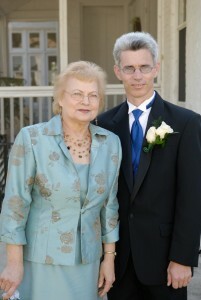 Martha and her son, my husband, on our wedding day – October 13, 2007. As the title of this post suggests, this a recipe for Martha’s best sugar cookies. At this point, you might be wondering: Who is Martha? Quite simply, Martha Carol Kidd Campbell (formerly Witty) was my mother-in-law. This is a recipe she passed down to me before she died. She entered this recipe in the Kentucky State Fair every year, and one year she actually won – third place. That’s why she kept resubmitting the recipe, just to see if she could ever win the top prize. Sadly, she never did. Still, she never tired of baking these cookies for anyone and everyone – family, friends, and visitors to her church. Every Saturday she would bake a batch or two for the hospitality cart her church offered Sunday morning visitors. She even made several batches for our wedding. As you can see from this picture, we didn’t have very many leftovers! I asked my husband if he minded me sharing her recipe because I thought it would be a nice tribute to her, and he agreed. He said his mother would probably love to make it possible for others to enjoy her special treat. So here’s how to make Martha’s Kentucky State Fair Cookies. 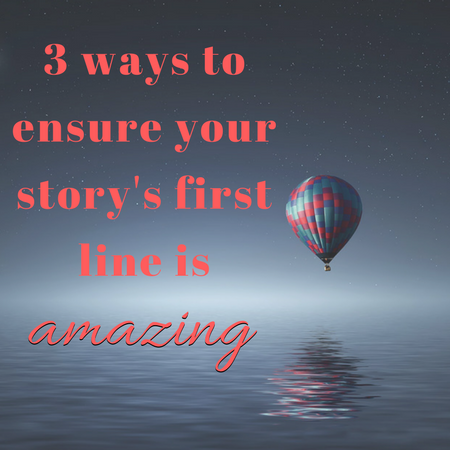 These are sure winners, if you’re looking for something to wow a crowd. My mother-in-law did consistently for years by making these! Put the margarine in a large microwave-safe bowl and microwave for about 30 seconds on high power, until the margarine is melted. Pour the sugar in with the melted butter and blend with an electric mixer (on the lowest setting) for three minutes. Add the egg and continue mixing for 2-3 more minutes. Stir in the vanilla until completely blended into the mixture. Stir in the flour and form into a dough ball. Chill the dough in the refrigerator for at least 8 hours. After the dough has chilled, preheat oven to 350 degrees Fahrenheit. Grease two cookie sheets with Crisco vegetable shortening. Cut the dough into three equal pieces. Sprinkle flour lightly on your countertop and roll out dough pieces one at a time on the floured surface. Use a cookie cutter to cut cookies into a certain shape, or just hand-roll small sections of dough and flatten them out to make round cookies. Place the cookies on the greased cookie sheets. Bake cookies for about five minutes, until the bottoms are golden. “Golden” is the key here. To make the glaze, pour the powdered sugar into a medium-sized bowl. Stir in the four tablespoons of water. Brush the glaze onto the cookies right after you take them out of the oven. Let the cookies sit for about thirty minutes, and then enjoy! I asked my mother-in-law why she used margarine instead of butter. I’d always heard butter was a lot better for baking. She told me that (for this recipe, at least), butter always made the cookies prone to burning, so she never wanted to use it for this recipe. She was the sugar cookie expert, so I’m not going to go and change things now! You will have some glaze left over after you decorate the cookies, so just throw it out. Or, if you’re anything like me and the idea of just tossing out something so delicious makes you cringe, you can store it in an air-tight container in the fridge and use it for your next batch of yummy cookies! If you are looking for a quick and easy cookie recipe, this is not it. But if you’re looking for a really wonderful, yummy cookie that everyone is sure to love, this is the cookie for you! One night, I made a batch of these for my daughter’s Awana class. The theme for the night was God’s love, so they wanted a heart-shaped snack. I thought it would be the perfect opportunity to use this recipe just as my mother-in-law did – serving the church by making delicious cookies. I sweated for three hours (after making the dough and letting it set for eight hours in the fridge) to get these just the right size and shape. Here is a photo record of that cookie-making adventure, along with a list of things I learned in the process. I am not the cookie baking expert. In fact, until my mother-in-law shared this recipe, I was a complete cookie baking idiot. Some two-inch cookies cut out and placed on a greased cookie sheet. I never could get them right – at least not the made-from-scratch kind. I could do the heat and serve cookies all right. I just couldn’t make real cookies. It should be no surprise, then, that I had a little trouble figuring out just how thick I needed to make the cookies. Before this attempt, I had never used actual cookie cutters. I just made free-form cookies, and that worked a lot better for me. This is how the cookies look when they’re done. They don’t even really look done on top, but you can see a little of the golden color peeking through along the bottom edge. You can see from the picture that my first attempt failed pretty miserably. The cut-out hearts were crepe-sized, not cookie-sized. I had to redo most of them. My second attempt turned out much better. It took me a while to get the cooking step just right, too. These cookies just don’t look done when they’re done. They’re fluffy and puffy, and they just don’t harden to “normal” cookie consistency until they cool. It is really difficult to brush the glaze onto the cookies while they’re still warm, even though that’s the way you’re supposed to do it. It is possible. It’s just not easy. I was trying for red, but I didn’t really get there. 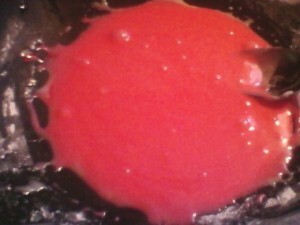 I stopped trying after 5 drops of red food coloring. You might see bubbles in the glaze (as you can see in the picture), but they don’t hurt anything. Sometimes you get them; other times you don’t. I had red food coloring, so I thought I would make red glaze for the heart-shaped cookies. Ha! How wrong I was! After five drops of food coloring, this is the darkest the color got, and I really didn’t want to add more food coloring than that. I guess I could’ve doubled it, but I thought it would be excessive. And I decided there’s nothing really wrong with pink hearts, so I left it the way it was. My daughter likes pink better than red, anyway! 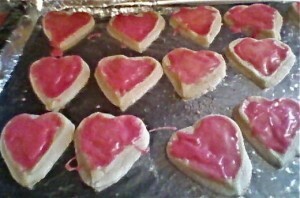 When it was all said and done, these pink heart cookies turned out to be pretty terrific! Even my mom said they were pretty (and she is not one to offer much praise at all). Things didn’t turn out quite exactly the way I wanted them to before I started this project, but it was fun making them. There was also some decent pay-off for all that hard work. The kids seemed to love them, judging from later comments from their parents. My mother-in-law dedicated her life to doing things for others. She was always on the move. I don’t think I ever saw her sit down for more than five minutes at a time – until the cancer finally beat her seven years after it first made its appearance. I am so grateful she shared this recipe with me. I will be passing it down to my little girls when they are old enough to learn how to bake. My hope is they will treasure it enough to share it with their children and grandchildren, continuing the family sugar cookie legacy. And maybe one day I’ll enter this recipe in the Kentucky State Fair, just to see if I can win the top prize for the woman who worked so hard to perfect this cookie recipe. Next 9 Gift Ideas for Mom That Will WOW Her!